March 1: Louis the Pious was restored as Holy Roman Emperor in 834. March 2: Dirk VI becomes count of Holland in 1121. March 3: Dutch theologian Gijsbert Voet was born in 1589. March 4: Saint Adrian of Nicomedia was martyred in 306. March 5: David II of Scotland was born in 1324. March 6: Ferdinand Magellan arrives in Guam in 1521. March 7: Emperor Constantine declares Sunday a day of rest i n321. March 8: Urraca of León and Castile died in 1126. March 9: Saint Frances of Rome died in 1440. March 10: Agnes Blannbekin, Austrian mystic, died in 1315. March 11: Marie de France, Countess of Champagne, died in 1198. March 12: Cesare Borgia died in 1507. March 13: The bones of St Nicephorus were interred in Constantinople in 874. March 14: Catherine Cornaro, queen of Cyprus, sold Cyrpus to Venice in 1489. March 15: On this day in 44BC, Julius Caesar was assassinated on the Ides of March. March 16: On this day in 1485, Anne Neville, queen consort of England, died. March 17: The feast of Saint Patrick. March 18: Edward the Martyr, king of the English, died in 978. March 19: Alexander III of Scotland died in 1286. March 20: Cecily of York, daughter of Edward IV, was born in 1469. March 21: St. Angela Merici was born in 1474. March 22: Ferdinand II commissioned Amerigo Vespucci in 1508. March 23: Margaret d’Anjou was born in 1430. March 24: Harun al-Rashid died in 809. March 25: Blanche of Lancaster was born in 1345. March 26: Conrad II was crowned Holy Roman Emperor in 1027. March 27: Rachel Akerman, Austrian poet, was born in 1522. March 28: Saint Theresa of Ávila was born in 1515. March 29: Arthur I of Brittany was born in 1187. March 30: Saint Quirinus of Neuss died in 116. March 31: Francis I of France died in 1547. The name was never common, but it was used in England, particularly in areas with strong Welsh and Breton connections; Reaney & Wilson s.n. Kay mention one Britius filius Kay from 1199. It is not clear to what extent the relationship between Kay/Cai/Keu etc. and Gaius/Caius was recognized medievally — i.e., the extent to which occurrences of Gaius can be taken as examples of the influence of Arthurian legends. In fact, the extent is probably very minimal, especially given other more likely routes to the name, such as the various minor New Testament characters, saints, or popes. In Italy — which is where our current single example comes from — the influence of Julius Caesar, Pliny the Elder, and Tacitus, all of whose praenomina were Gaius on the Renaissance likely contributed to the use of the name more than the Arthurian character. We kick off this month’s topical discussion with a consideration of the name of the person without whom we wouldn’t have this topic: Arthur himself. Without Arthur, no Arthurian literature, no Arthurian names, no interesting patterns of adoptions of these names. Origin: The origin of the name is uncertain, but it is perhaps derived to Old Breton arth, from Proto-Celtic *artos, in turn related to Greek ἄρκτος ‘bear’; certainly the name was later associated with this word retrospectively. An alternative origin which has been suggested is the Roman gens Ar(c)torius; if this is correct, Arthur would not be the only Roman name ‘naturalized’ into a Welsh or Celtic context. Other Arthurian names of ultimately Roman origin are the name of Arthur’s seneschal Kai or Cai (from Gaius, also spelled Caius) and Emrys (from Ambrosius). The earliest recorded example of the name Arthur occurs (as Arturius) in Adamnan’s life of St. Columba, where it is the name of an Irish prince killed in 596; the earliest mention of King Arthur is in Nennius (fl. 796). In England, the name shows up used by ordinary people in Domesday Book, and while “never very common, Arthur is most often found, in the Middle Ages, in counties bordering on Celtic districts, Cumberland, Yorkshire, Somerset, for example” (Withycombe). The Celtic connection shows up again in the use of the name across the channel in Brittany, where Arthur Duke of Brittany, the nephew of King John, had a Breton mother; and never forget that Henry VII’s elder son Arthur Tudor was a Welshman. Our examples in England are primarily from the 16th C, with one lone 12th C Latinization. The name was Latinized both Art(h)urus and Art(h)us, with the latter spelling influencing the Italian form Artusio. We also have examples from France and Scotland, and, in unprocessed data, we have the unusual spelling Aearthur in Wales in 1204. The name spread beyond the core center of Britonic influence: In unprocessed data we also have one 16th C Portuguese example of Artur. Perhaps most interesting is the single example of Arthuze we have (also in unprocessed data), from France in 1549. This is a feminine name, derived from Arthus following standard French methods of feminization. One of the highlights of the onomastic year — whether you’re a medievalist or not — is when the US Social Security’s baby name data for the previous year is published. A perusal of the lists is always good for an evening of laughs, but also as an insight into the contemporary psyche as evidence by what people name their children after. Perhaps one of the most indicative of patterns is the importation of names from popular culture — movies, TV shows, books, etc. 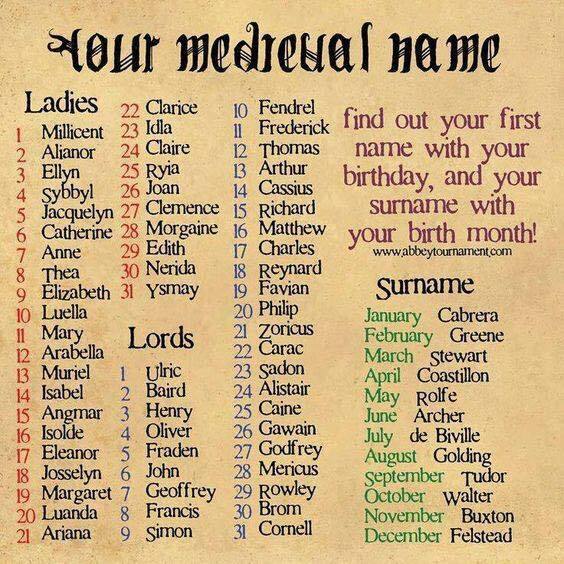 What is particularly interesting is not the phenomenon itself, but just how old that phenomenon is: People have been naming their children after literary figures for millennia. We see this with the popularity in England of the Biblical names that show up in the mystery plays, we see it in the 16th C with the revival of names from classical mythology, and we see it especially with the perennial popularity of names from the Arthurian cycles. And that is going to be our focus this month: We’ll take a tour through Arthuriana from the most well-known names to some of the least, looking at their origin and their patterns of usage. First up: Arthur himself. December 1: Anna Komnene was born in 1083. December 2: Gerard Mercator died in 1594. December 3: Berengar I was crowned Holy Roman Emperor in 915. December 4: Theobald II of Navarre died in 1270. December 5: Pope Julius II was born in 1443. December 6: Baldassare Castiglione was born in 1478. December 7: Saint Columba was born in 521. December 8: Mary Queen of Scots was born in 1542. December 9: Malcolm IV of Scotland died in 1165. December 10: Afonso de Albuquerque conquered Goa in 1510. 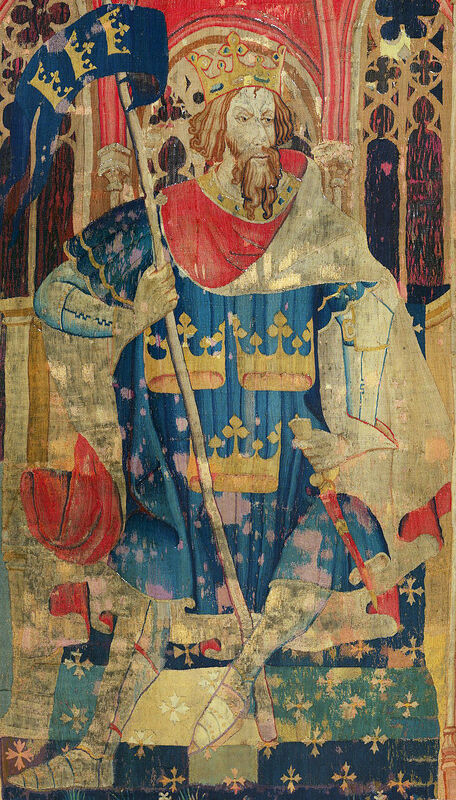 December 11: Llywellyn, last sovereign Prince of Wales, died in battle in 1282. December 12: Stephen Báthory, king of Poland, died in 1586. December 13: Pope Celestine V resigns the papacy in 1294. December 14: James V of Scotland died in 1542. December 15: Basil II, emperor of the Byzantine Empire, died in 1025. December 16: Henry VI was crowned king of France in 1431. December 17: William I Longsword was assassinated in 942. December 18: Theodulf of Orleans died in 821. December 19: Agnes, Duchess of Burgundy, died in 1327. December 20: Margaret of Provence, queen of France, died in 1295. December 21: Pope Honorius II was elected in 1124. December 22: Stephen of Blois was crowned king of England in 1135. December 23: Berengaria of Navarre, Queen of England, died in 1230. December 24: Constance of Austria, queen of Poland, was born in 1588. 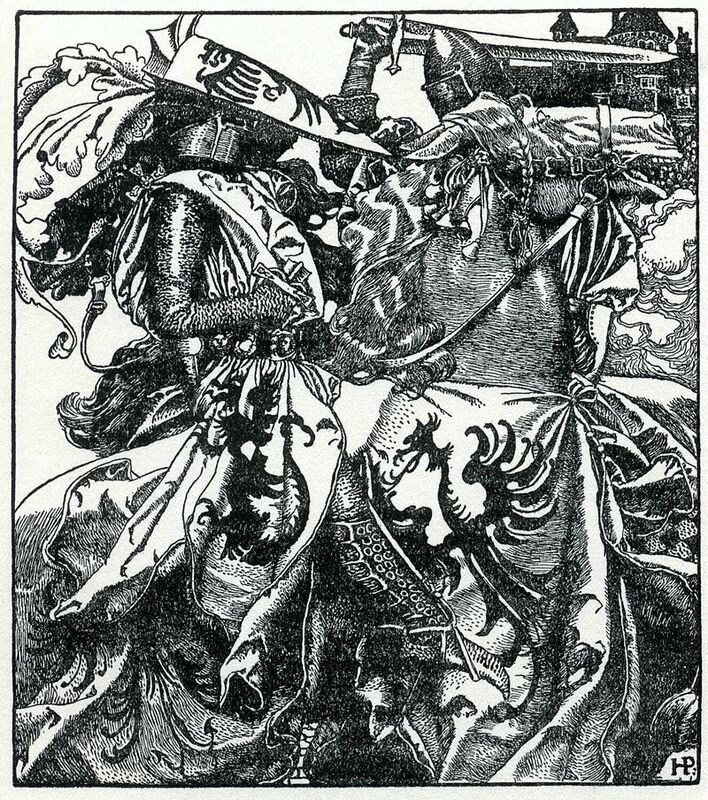 December 26: Arthur III of Brittany died in 1458. December 27: German mathematician Johannes Kepler was born in 1571. December 28: Alaric II became king of the Visigoths in 484. December 29: Thomas Beckett was murdered in 1170. December 30: Vasily I of Moscow was born in 1371. December 31: Eleonora Gonzaga was born in 1493.